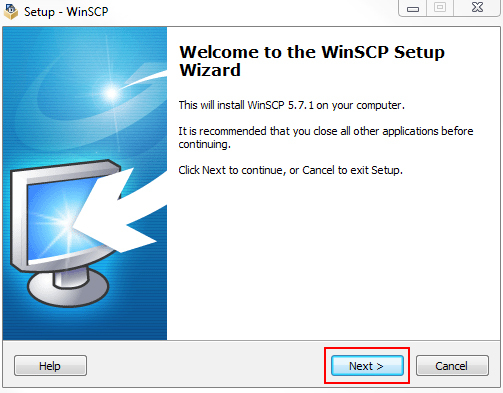 WinSCP (short for Windows Secure Copy) is a free, open-source FTP client for Windows and it makes use of SSH with support for SCP and SFTP protocols. 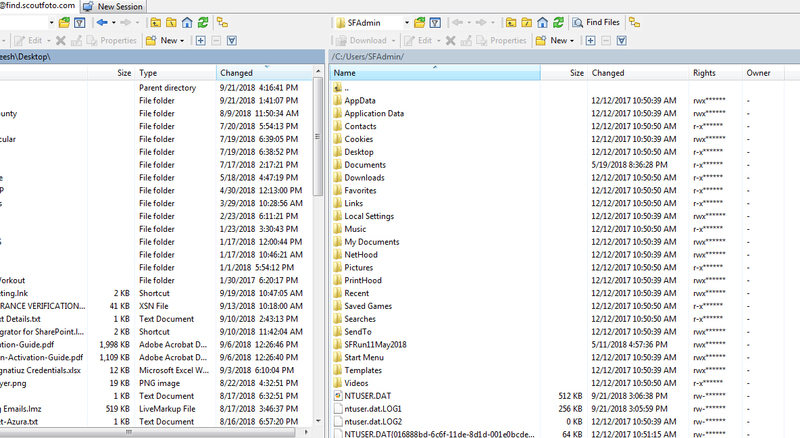 It’s have more features such as drag-and-drop, shortcuts, and URLs. 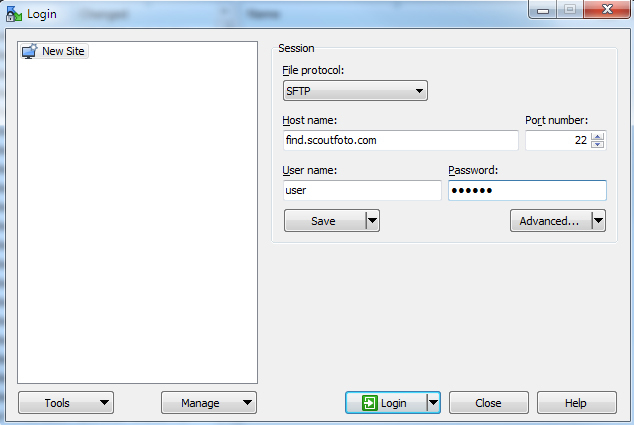 It covers all the basic file transfer and file management services such as transfer over FTP, SFTP, and SCP. 1. 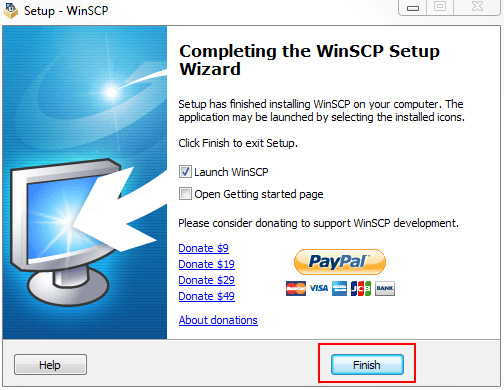 Download WinSCP client at http://winscp.net/eng/download.php. 2. Run the program on your computer. 3. 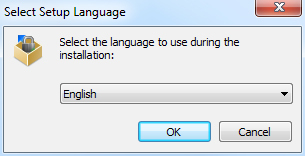 On the first screen, select a language to start the installation process. 5. 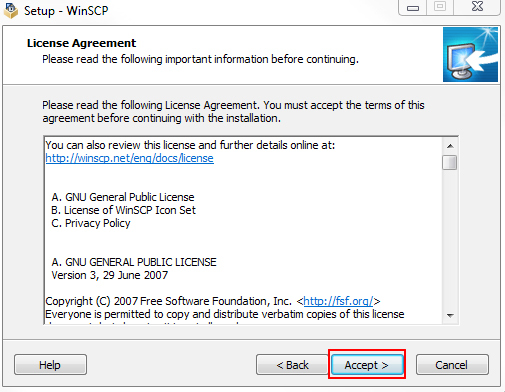 To signify that you agree to the license agreement, click the Accept button to continue. 6. 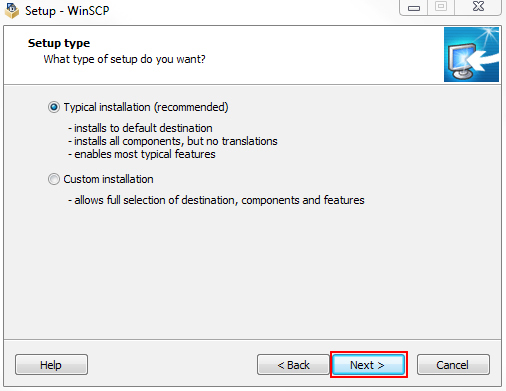 Choose the ‘Typical installation’ radio button, and then click the Next button. 7. 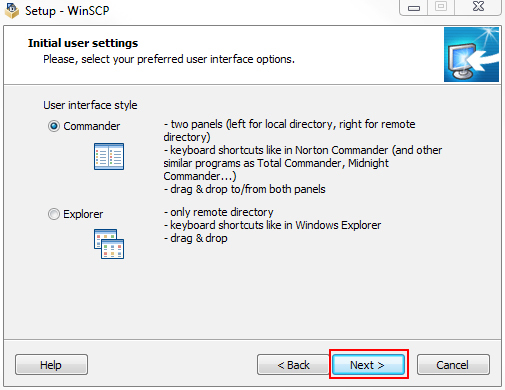 Choose the ‘Commander’ radio button, and then click the Next button. 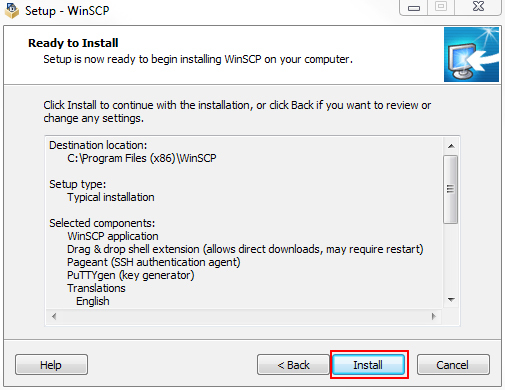 8. Review the installation setup options, and then click the Install button to continue. Click login and once successfully logged in, it will show something like below. Can I host my photos on ScoutFoto? Yes, we provide a full hosting solution for your races along with an optional e-commerce platform and printer services. Can I just use your tagging and host elsewhere? Yes, we support many platforms. We tag each photo and send it back to you. Contact us to see how we can help you. We charge 10% for our e-commerce platform after printing cost, includes tagging. Just tagging is dependent on your requirements so please contact us. Discounts vailable Contact us to find out more. How long to tag my photos? Once we get them from you we will have you tagged in 1-2 days and up on our e-commerce if requested. How do I share my photos with you? You can share photos via FTP. Contact us for having your FTP location ready with us. Or, you can upload the photos to our site. How accurate is the tagging? Our tagging is 99% accurate (if the number are readable to they eye), we have use our custom face/bib recognition for the first pass then our team check the results. Go to our contact page to reach out to us and one of our team will help get you all setup. If there is no charge to the runner, this service is completely free. Users can download any photos in full quality. Is there any other way to transfer pictures? How long until runners can find their matches? 1 to 2 weeks. The sooner folks can load up pictures, the sooner we can do matches. Once we get all the pictures we can do the matches and have it loaded online in about two days. We translate the bib images to numbers, so users can search by bib number. To improve matches runners can load photos of themselves from race date, the system will also do facial recognition. It takes at least a day for the facial recognition to process. Do runners have to submit a profile picture to get matched? No, Our software does a good job with the bib recognition. It does help provide more matches in case bibs are covered. Can I load photos from another event for the facial recognition? Sure, but the matches won’t be as good as from race day. Same day photos will have the same lighting & clothing. We also recommend providing a few pictures from race day, though not required. Can we use this service for other events, such as biking, triathlons, school sports, little league? Yes, just contact us. This of course is free too. Yes, one of the features we will provide in the future is to scan the videos and break it down into clips for each of the runners. Just tell us when the race is and we will add the race to our site so runners can load their photos. We can setup a shared DropBox account for photographer and volunteers photos. How will the runners find out about this feature? The event organizers would email and post info about ScoutFoto. Some have created flyers and post boards at the race. Sample flyer. Sample email.